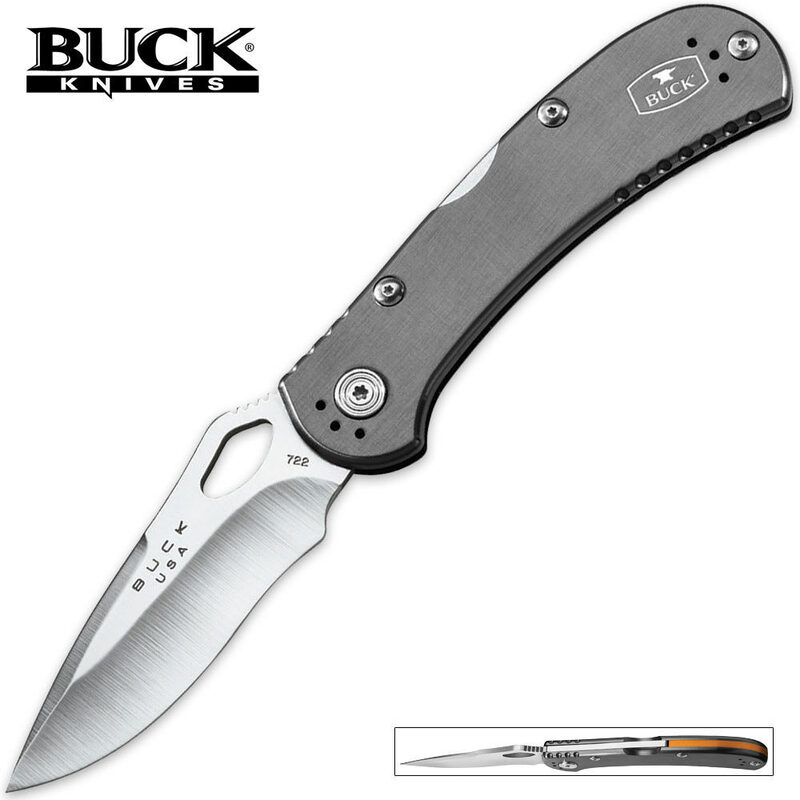 Buck Spitfire Folding Pocket Knife Grey | BUDK.com - Knives & Swords At The Lowest Prices! The SpitFire pocket knife from Buck Knives has taken the folding pocket knife world by storm,quickly becoming one of the most sought-after folder designs on the market. Each Buck SpitFire features a strong lock back mechanism, a thumb hole for one-hand opening,a razor-sharp blade and lightweight aluminum handle with a four-position removable pocket clip. It's a great every day carry!